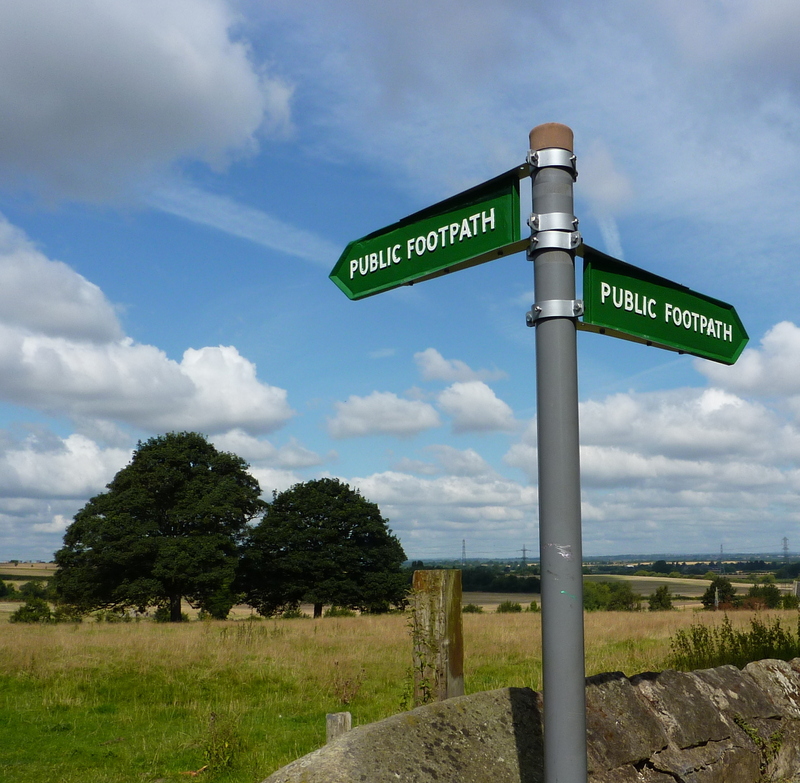 Over the past two years we have been involved in restoring our heritage footpath signs which have received very little care over the past 50 years. 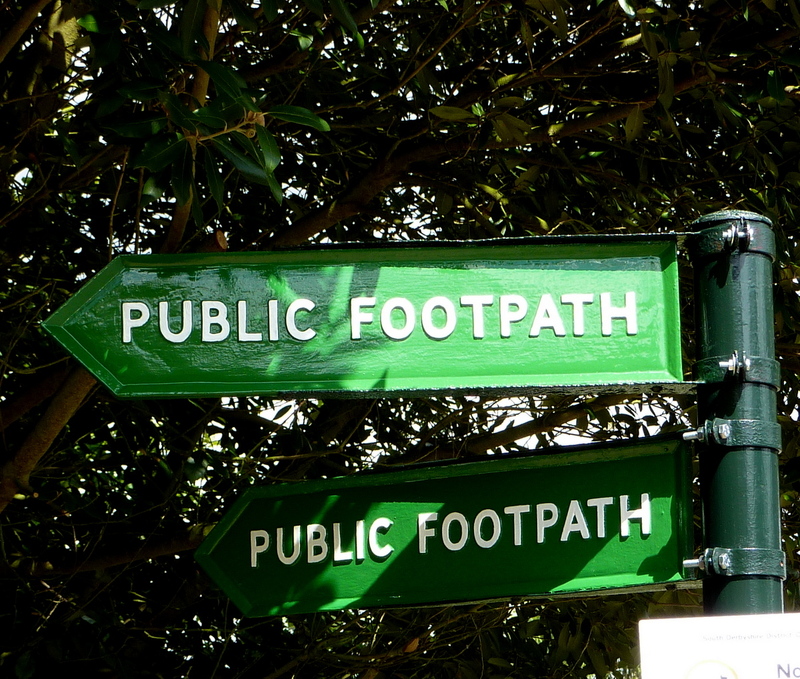 We hope that our work will enable these iconic features of the local footpath landscape to last for another 50 years. 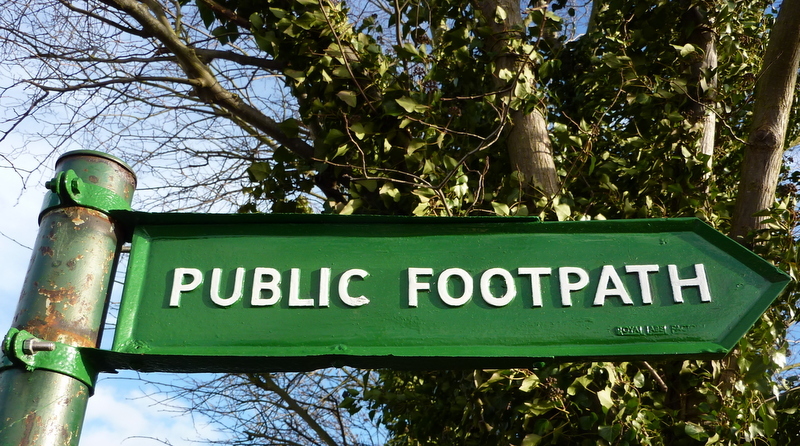 This sign, at the top of Robinsons Hill, was restored by member John Sheppard to a very high standard in 2012. 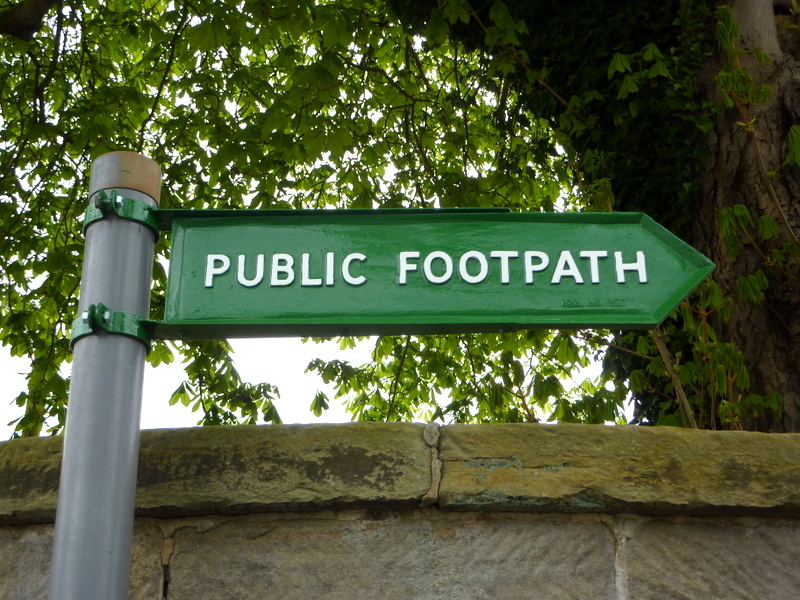 Many of our metal footpath signs were made in the 1950s and 1960s by the Royal Label Factory a company which is now located in Buxton, Derbyshire. We can restore these old metal signs for about £40 per item, a bargain when you consider that a new reproduction sign will cost well over £200 (plus installation and transport costs). Our latest restoration job at Bretby (November 2014) and perhaps our most adventurous. The sign on the right was in 2 pieces along with a middle piece missing. Restored by John Sheppard, David Sheppard and Barry Thomas. 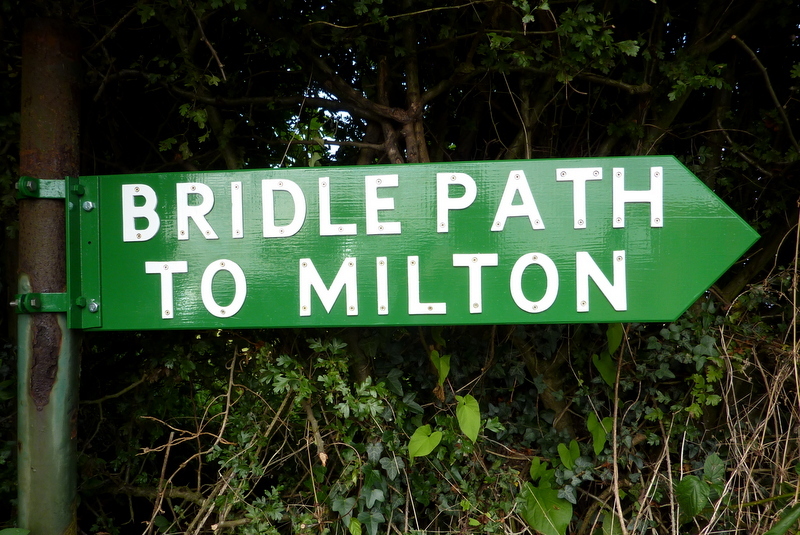 These two lovely signs were refurbished by John Banister and Barry Thomas for Ticknall Parish Council and can be seen near to the Village Hall (August 2014). 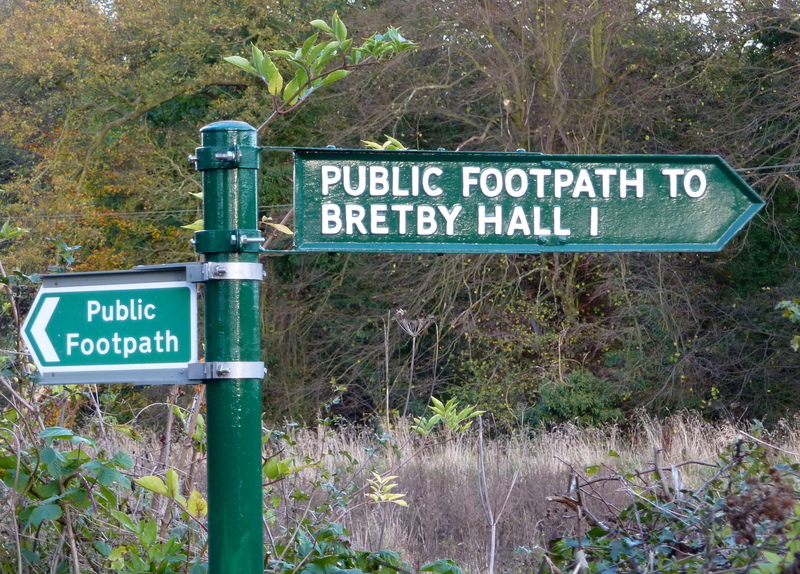 Two signs, installed at King’s Newton (August 2014), were restored with the help of John Sheppard, Barry Thomas, David Sheppard and John Banister. This job involved using new brackets manufactured by local firm Quill Engineering. We are restoring signs in Ticknall. 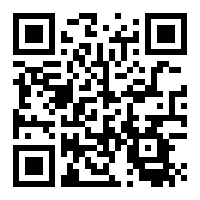 Photographs can be found here. 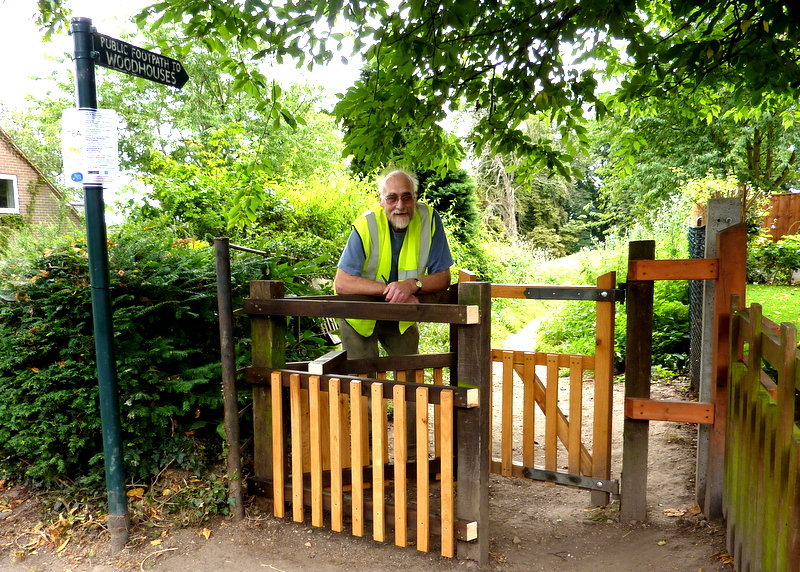 Penn Lane Kissing Gate was restored for Melbourne Civic Society by member John Sheppard (featured) with timber generously donated by John Blunt of the Staunton Harold Estate. 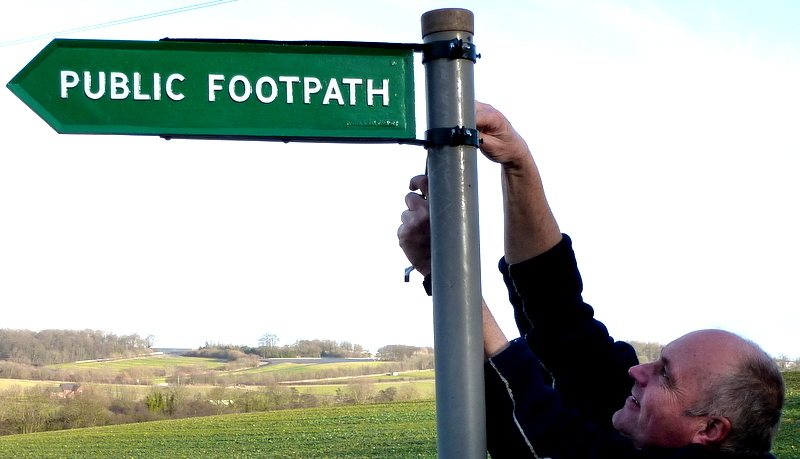 Please use our Contacts form if you would like more information about our footpath sign restoration work. Thanks to Melbourne Parish Council and Derbyshire County Council for financial support with painting materials.